This is according to the latest Ernst & Young’s Africa Attractiveness Report (2016). Kenya is ranked 4th. Ahead of Tunisia, Mauritius, and Botswana. You just need to spend a few hours in Nairobi, or the other 46 county headquarters, to understand why. While economic inequality remains to be a huge (political) challenge, it’s hard to argue against the structural transformations underway in the Kenyan economy. 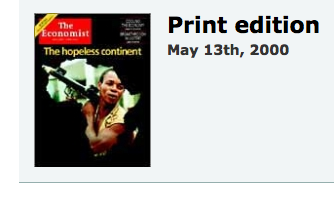 The latest issue of the Economist has “Africa” on the cover, with the pronouncement that the continent has, in the last ten years, moved from hopeless to hopeful. Africa’s enthusiasm for technology is boosting growth. It has more than 600m mobile-phone users—more than America or Europe. Since roads are generally dreadful, advances in communications, with mobile banking and telephonic agro-info, have been a huge boon. Around a tenth of Africa’s land mass is covered by mobile-internet services—a higher proportion than in India. The health of many millions of Africans has also improved, thanks in part to the wider distribution of mosquito nets and the gradual easing of the ravages of HIV/AIDS. Skills are improving: productivity is growing by nearly 3% a year, compared with 2.3% in America. 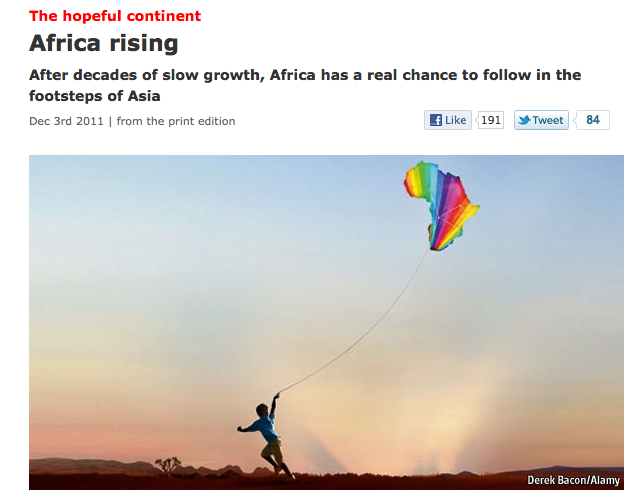 All this is happening partly because Africa is at last getting a taste of peace and decent government. For three decades after African countries threw off their colonial shackles, not a single one (bar the Indian Ocean island of Mauritius) peacefully ousted a government or president at the ballot box. But since Benin set the mainland trend in 1991, it has happened more than 30 times—far more often than in the Arab world. Population trends could enhance these promising developments. A bulge of better-educated young people of working age is entering the job market and birth rates are beginning to decline. As the proportion of working-age people to dependents rises, growth should get a boost. Asia enjoyed such a “demographic dividend”, which began three decades ago and is now tailing off. In Africa it is just starting.